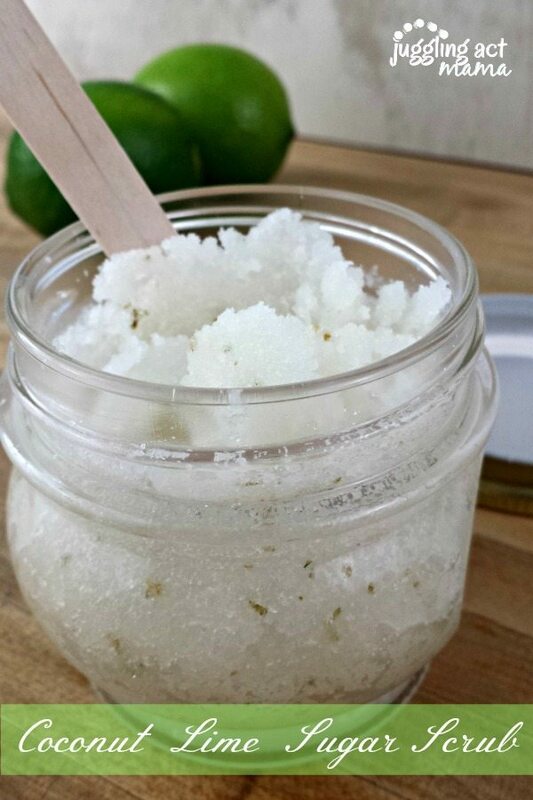 This Coconut Lime Sugar Scrub leaves your skin feeling soft and your senses refreshed! This makes a fantastic DIY gift! I love making sugar scrubs for myself and to give as gifts. My most popular has been my Coconut Sugar Scrub, so I decided to play off that original ‘recipe’ to come up with something new. 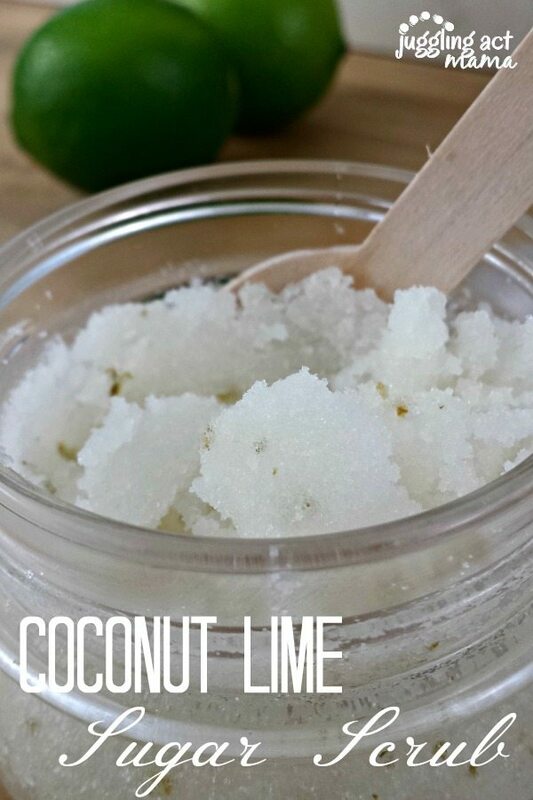 This Coconut Lime Sugar Scrub has all the same wonderful properties of the original, while incorporating the benefits of lime essential oil. This scrub is perfect to use in your morning shower. It helps wake you up and get your day off to a wonderful start. It’s also great for your skin. It compliments the coconut oil so very well. And it is so very simple to make! In a small mixing bowl, microwave the coconut oil for 30 seconds at a time until melted. Let sit 1 minute before adding the lime granules and essential oil. Add the sugar a little at a time and stir to combine. You may need a little more or less depending on the accuracy of your coconut oil measurement. Use the funnel to transfer the mixture into the canning jar. For a beautiful gift, add this printable label and a pretty ribbon. Oh my! That must smell heavenly. I love lime scents! I love to make sugar scrubs! I bet this smells so great.